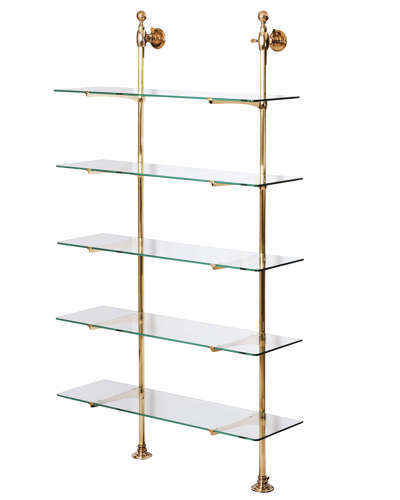 These beautiful brass shelving units are inspired by French shop window displays. These look great in any spaces - bars, restuarants, kitchens, etc. We have three different depth brackets, and length is totally up to the client. These can come in different colour finishes and can have wooden and glass shelves. We've sold these to a range of upmarket hotels, boutiques and eateries worldwide and you can have them at your establishment very soon - they can be posted easily.